Those who follow me on twitter and instagram, might have noticed that the end of November was filled with lots of images of pies and the hashtag #piebration14. And I’m sure there were a few of you asking yourself “what the devil is ‘piebration'”? 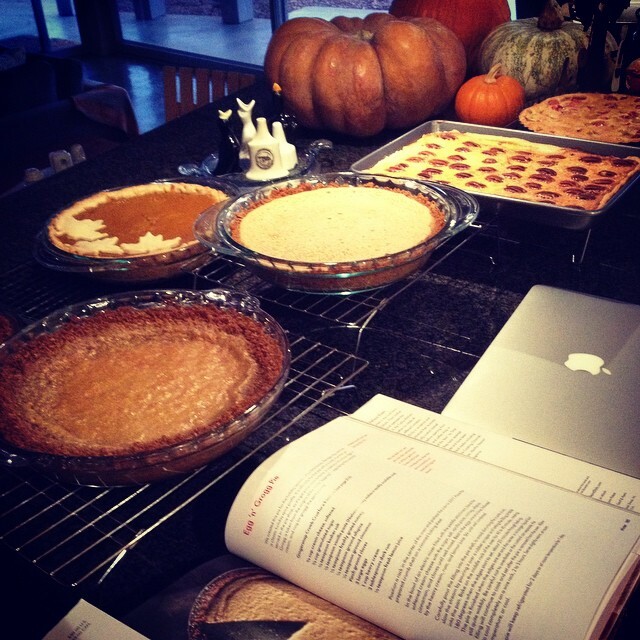 Piebration [noun]: an annual festival, usually held in the weeks before Thanksgiving, which gathers individuals together to bake and eat all things pie-related. Combination of the words “pie” and “celebration”. This was the fourth Piebration and it was quite the glorious affair. 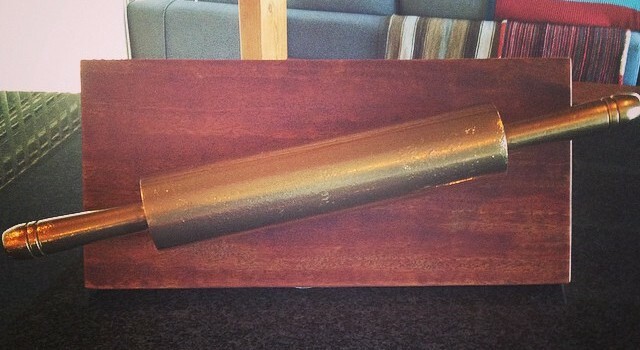 We also introduced a new element to the festivities: The Golden Rolling Pin. Every year we are asked if there’s a reward for the favorite pie and this year we decided to make one. Guests were given the opportunity to vote on the pie they enjoyed the most. 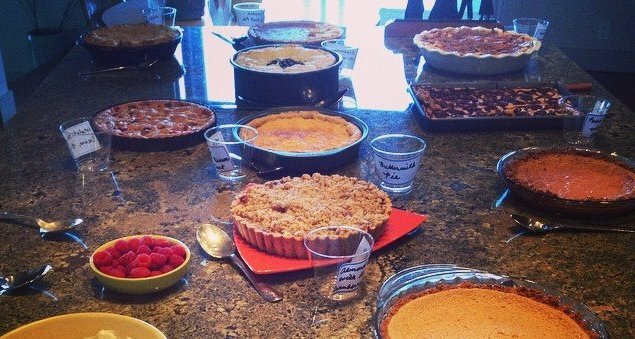 Not only does it add an element of friendly competition to the event, but it gives us an idea of what pies we should make sure to bring back next year. 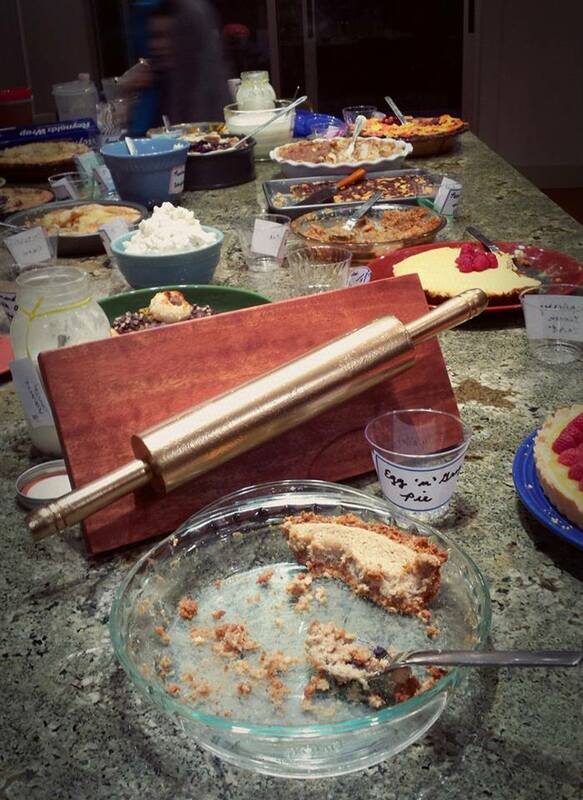 I’m happy to say that I was the recipient of this year’s Golden Rolling Pin for my Egg N Grogg Pie. And because pie is best when it’s shared, I’m going to share the recipe for this award-winning pie. 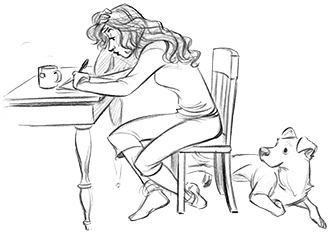 It’s like egg nog in a pie pan. Delicious! I can vouch for this pie. Yummy!